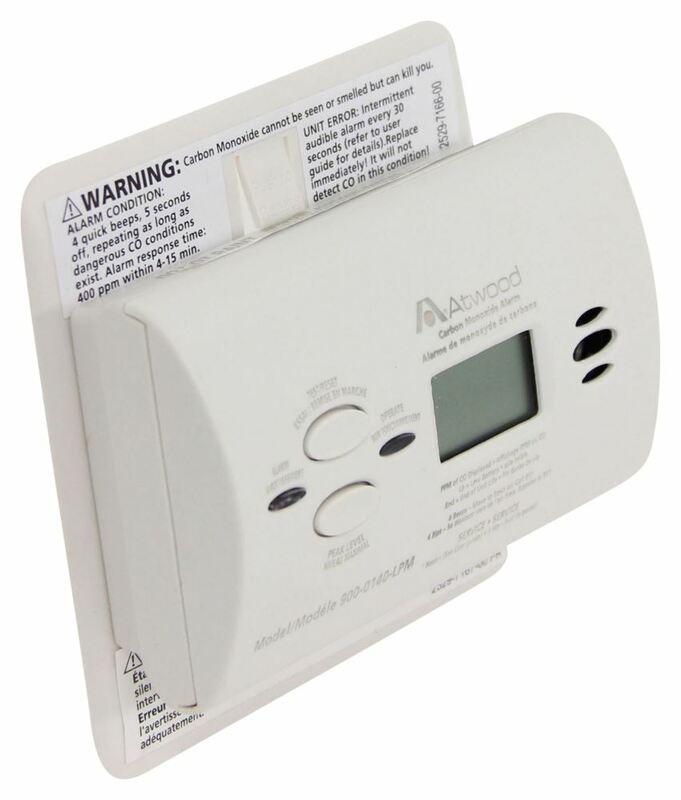 Protect your family with Atwood's carbon monoxide detector. It warns you sooner when dangerous levels appear suddenly, and is less sensitive to false alarms than other detectors. Digital readout displays CO levels. Lasts up to 7 years. Lowest Prices for the best rv gas detectors from Dometic. 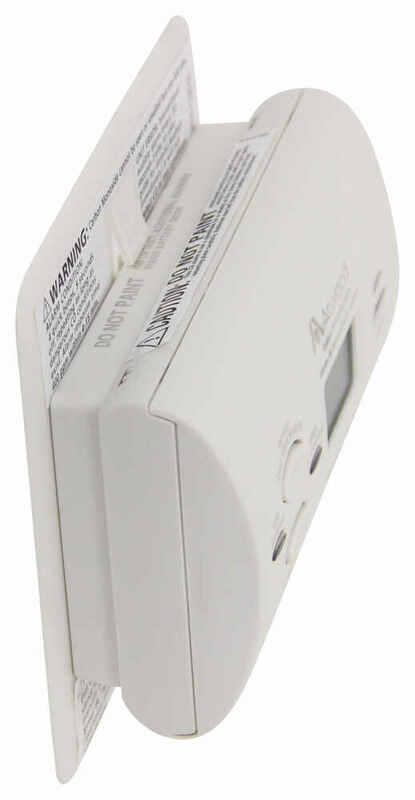 Atwood RV Carbon Monoxide Detector - LCD Digital Display - White part number AT32703 can be ordered online at etrailer.com or call 800-298-8924 for expert service. 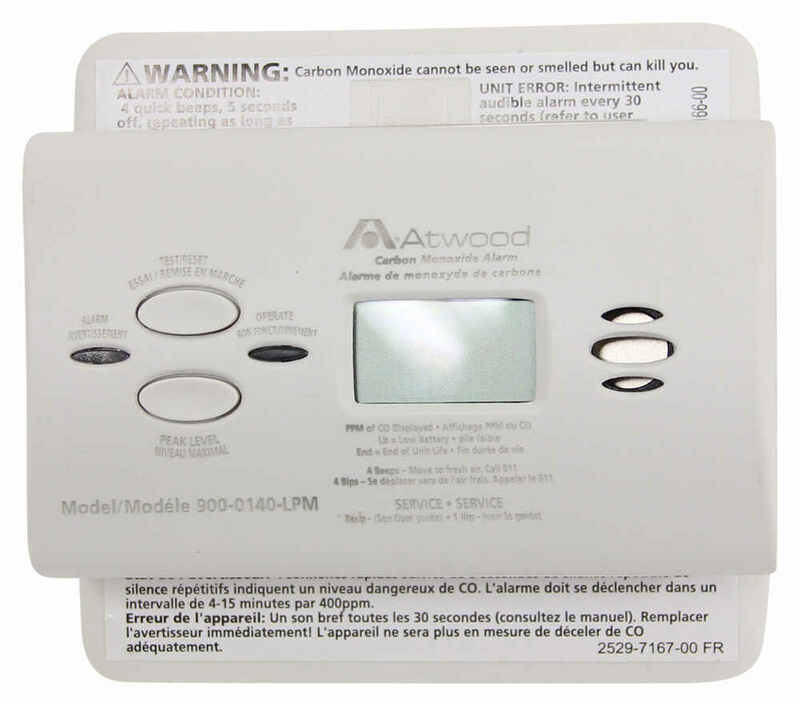 Protect your family with Atwood's carbon monoxide detector. It warns you sooner when dangerous levels appear suddenly, and is less sensitive to false alarms than other detectors. Digital readout displays CO levels. Lasts up to 7 years. The risk of carbon monoxide (CO) poisoning goes up when you use fuel-burning appliances, which are commonly used in RVs. This detector gives you peace of mind by alerting you if there is as little as 30 ppm of carbon monoxide present. The mildest symptoms occur at 50 ppm exposure to carbon monoxide, which means that your family will have plenty of time to get to safety if the alarm sounds. 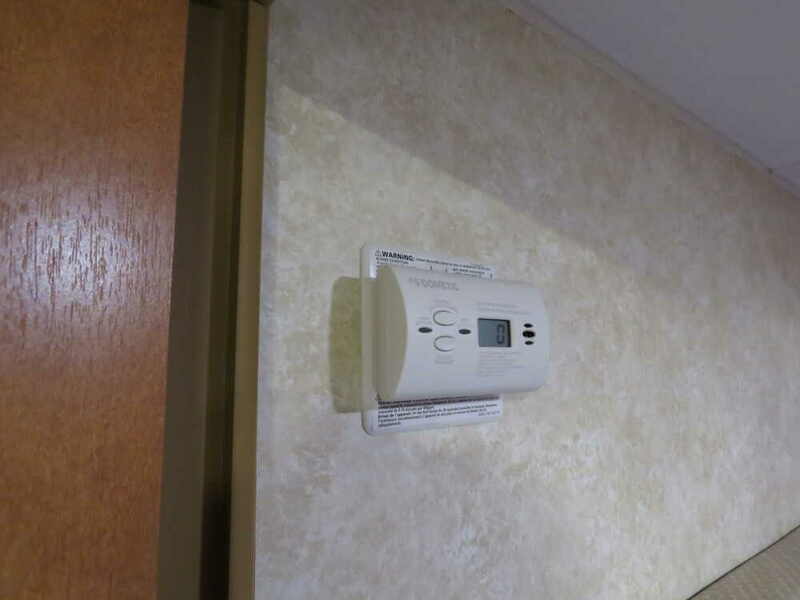 Speaker 1: Today we're taking a look at the Atwood RV Carbon Monoxide Detector. 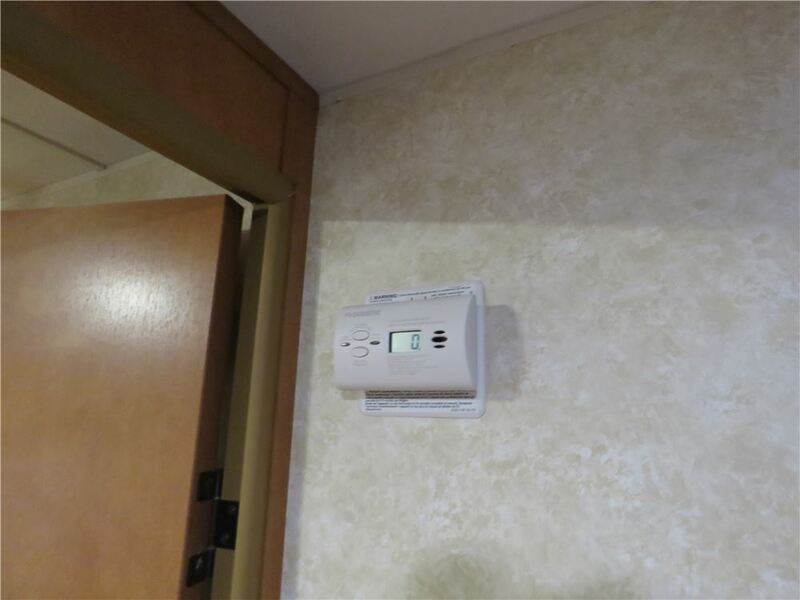 This carbon monoxide detector alerts you to potentially dangerous levels of carbon monoxide in your RV. It detects levels as low as 30 ppm. The digital display shows the carbon monoxide reading as well as the battery level. So if the battery goes low it will indicate that here on the display.It uses fuel cell center technology so the fuel cell sensor gives an earlier alert when the carbon monoxide levels are high. And it's also less sensitive to false alarm triggers, especially when compared to other detectors. It also has, right here, a peak level memory button. When you push that it will digitally display a record of the highest readings. And it also has a test reset button that lets you test the sound and reset to normal after an alarm.The unit also features indicator lights, which takes out all the guess work. So, a green light blinks periodically during normal operation. A red light flashes when the alarm is active. And then, the red light will blink periodically if the batteries are low or if power is low.It does come with three double A batteries, as well as your mounting plate and mounting hardware. It uses a really neat, safe technology or a safety system, which are these spring-loaded pins here. That makes it really hard to reinstall on this plate if your batteries aren't installed. So, the whole purpose of that is to ensure that you have batteries installed in the unit before mounting it. And then this plate would mount to your wall. It's got two mount holes on it. And it simply accepts the detector, slides on, snaps into place.But again the batteries are included. It is CSA certified and it's made in the USA.When it comes to the monitoring ability, we're looking up to 1500 square feet. The mounting plate itself, going this direction, measures about 4 1/2 inches. And going this direction it's about 4 1/4. The mount holes are separated on center by 3 1/4 inches. The overall depth . that's how far it sticks out from the wall . is about 1 5/8 inch. The alarm intensity is 85 decibels at a distance of 10 feet. And the replacement date is 120 months, or 10 years after the installation.We're gonna go ahead and run through the test real quick. So it will beep once and then it will beep four times. It'll pause for a few seconds, and then beep another four times, followed by one single beep. So, we'll hold down the test button. 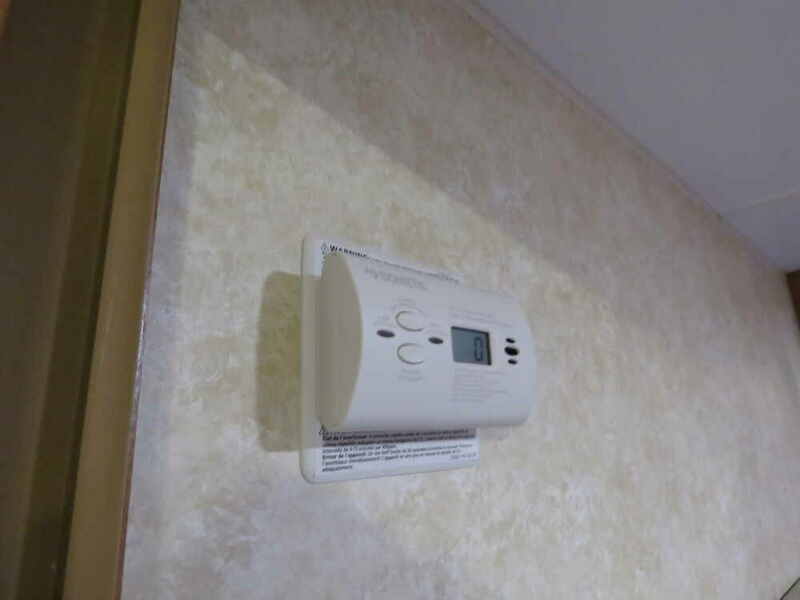 And that's all there is to it.That's gonna do it for today's look at the Atwood RV Carbon Monoxide Detector. 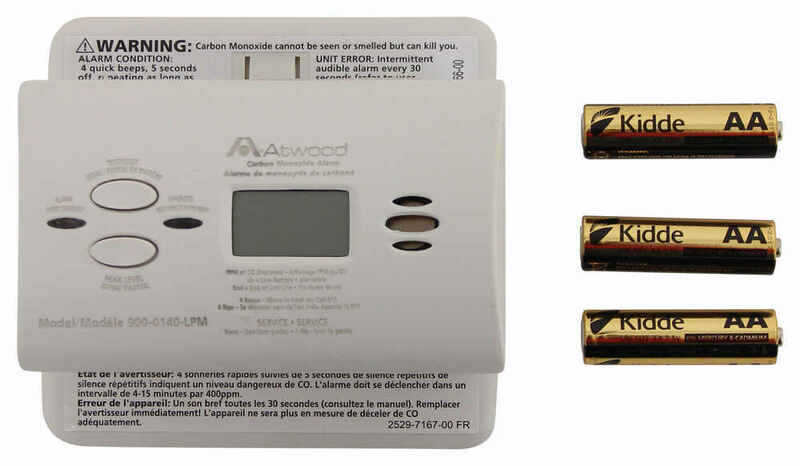 Order: RelevanceNewestRating - High to LowRating - Low to High Protect your family with Atwood's carbon monoxide detector. It warns you sooner when dangerous levels appear suddenly, and is less sensitive to false alarms than other detectors. Digital readout displays CO levels. Lasts up to 7 years. Do you have a question about this RV Gas Detector? 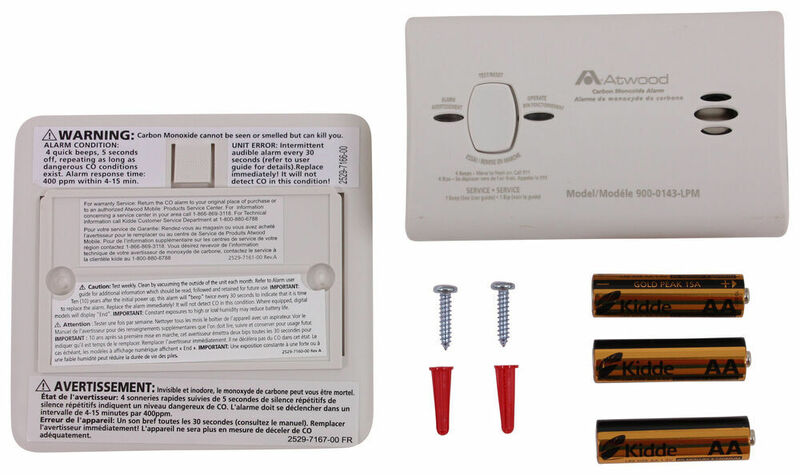 The Atwood RV Carbon Monoxide and Propane Gas Detector - 12 Volt - White # AT36681 or black # AT31012 does not use backup batteries like a home unit but simply wires into your 12V trailer battery. 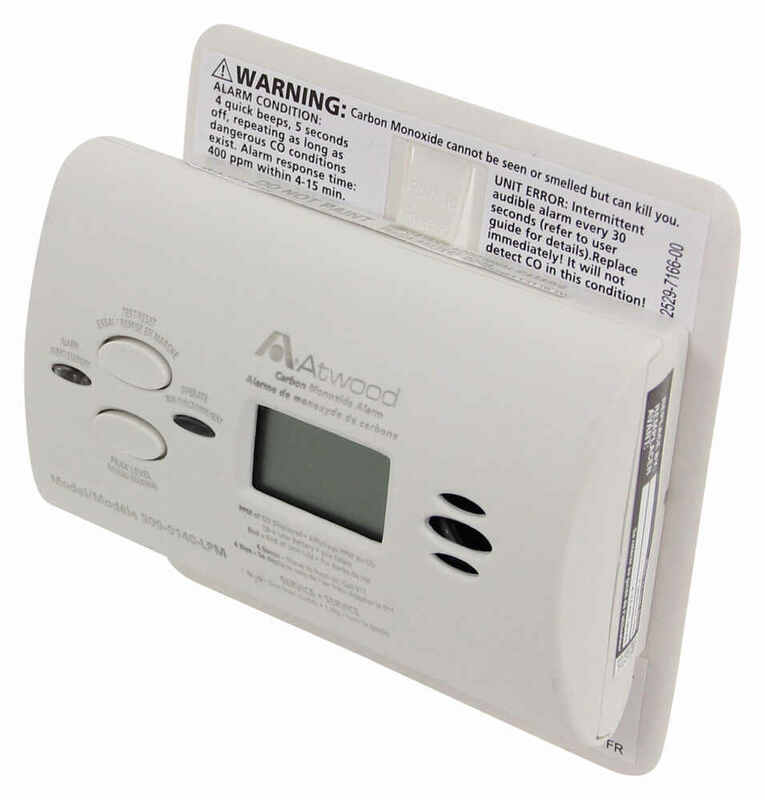 The Atwood RV Carbon Monoxide Detector - LCD Digital Display - White # AT32703 and the non-digital display model # AT32701 both use 3 AA batteries and do not wire to your 12V trailer battery at all but they also do not have the propane detector. Our propane detectors like the Dometic part # AT32703 that you referenced is designed to detect levels as low as 30 ppm which means that even if your detector is super close to the appliances the sensor is sensitive enough that it will still do it's job well. 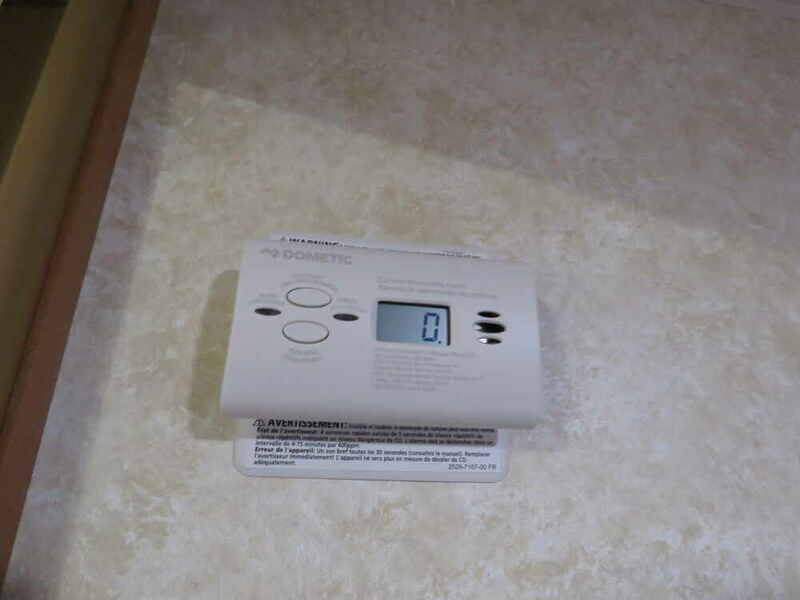 I have included an image with the correct dimensions for the RV Carbon Monoxide Detector # AT32703. 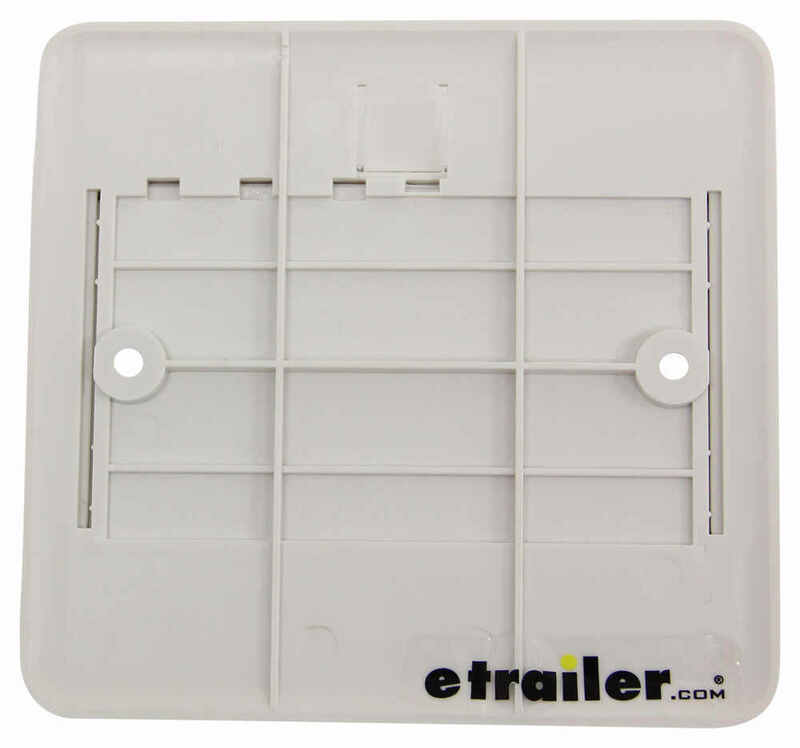 The backing plate is 3 inches in length across and 4.5 inches from top to bottom. The box sticks out 1.5 inches from the backing plate. 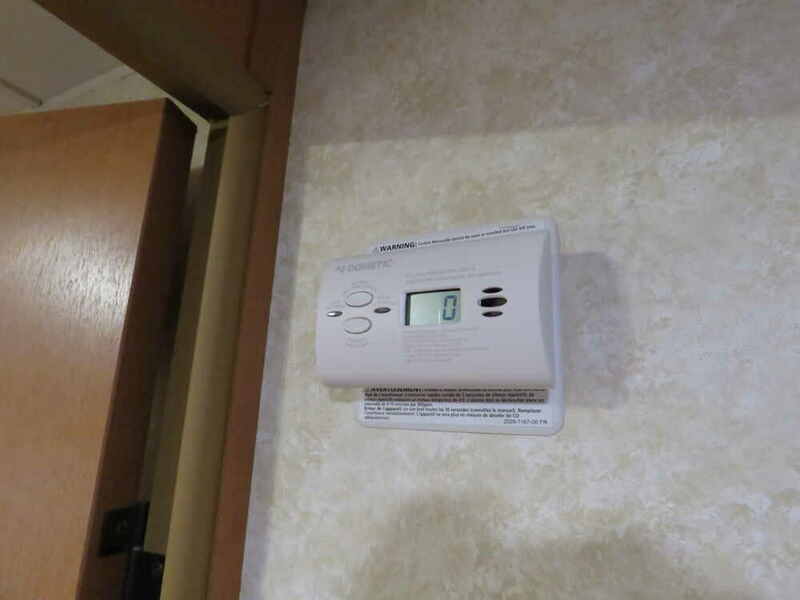 I spoke with my contact at Atwood to get clarification on the temperature range of the Atwood RV Carbon Monoxide Detector part # AT32703 and they told me that The alarm will ONLY work between 40 degrees and 100 degrees Fahrenheit. It can, however, be stored to a maximum of ten below to higher without harm. Highest quality rv gas detectors for the best price. Most detailed, accurate rv gas detector information available.